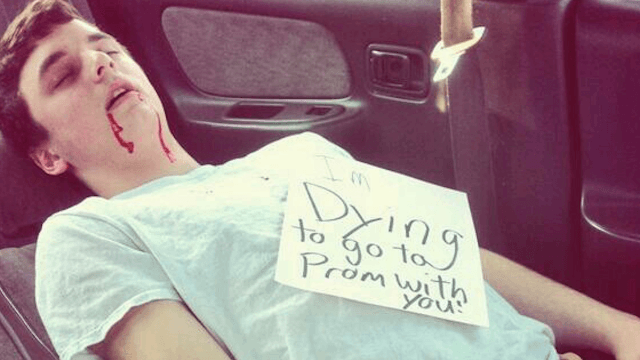 8 'promprosals' that were so disastrously horrible, you'll almost be happy you’re old now. Apparently, teens these days have made prom even more stressful by asking each other to dances through elaborate prom proposals, or "promposals." And to think, in your day you had a nervous breakdown over merely asking Jenny to ask Derek to ask Tommy if he liked you or if he liked you liked you. 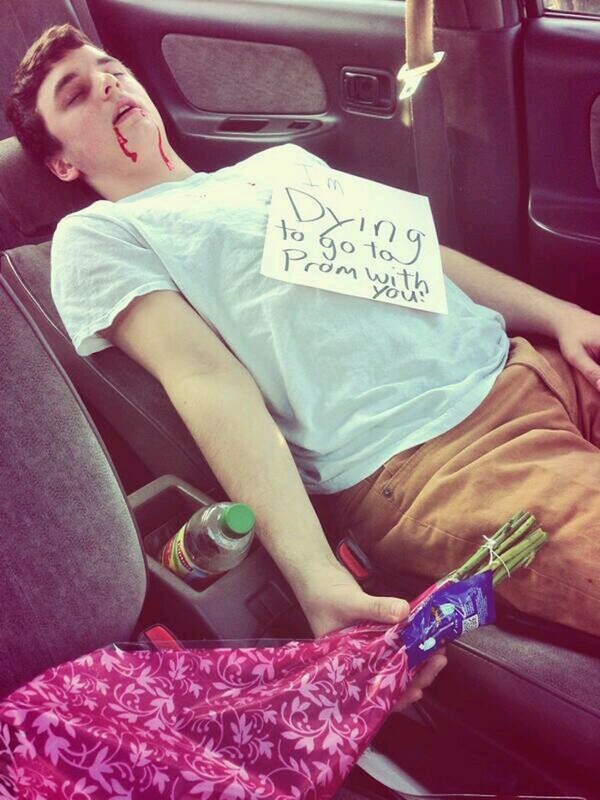 Still, many of these promposals are undeniably cute. And others? Well, others fail in every conceivable way. Here are eight of those. Because, like, they're funnier. 1. Nothing says romance like a dead body. 3. Who could forget the fake bomb vest promposal? 4. Or the jerk boyfriend who made his promposal look like a college rejection letter? 5. This student tried to ask Jennifer Lawrence to his school formal. In the creepiest way possible. 6. This white teen asked her black boyfriend to prom by having him fake arrested. Oh, no. As Jezebel put it, "It's funny because an unarmed black kid who hasn't committed a crime has absolutely no reason to fear the police." 7. At least this promposal, featuring a teenage boy faking his own birth, isn't racist. Just weird. 8. This one goes so badly. And yet is actually really cute?